MMC Contractors is proud to announce the award of the children’s tower addition project planned for the Akron Children’s Hospital. The addition, valued at approx. $30 million for the mechanical package, is going to be an IPD (integrated project delivery), Lean and LEED Silver project. Midlands Business Journal featured MMC Contractors' mechanical work on the Olympic Swim Trials pools. The core of the mechanical work was installing three 2,000,000 btu pool heaters to warm the water for the Olympic Time Trial Pools. MMC Contractors is proud to announce the award of the Vivarium Renovation and Restoration at the University of Medicine and Dentistry of New Jersey (UMDNJ) with Torcon. The project, valued at approx. $3 million, is scheduled to begin immediately and be completed by September of 2013. The MMC Contractors team is excited to announce the award of Merck Sharp & Dohme Building K15 DPS Remodeling Project in New Jersey. 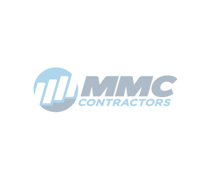 MMC Contractors is fabricating the $10 million pipe rack project in two fabrication shops in Kansas City for the 280-megawatt parabolic trough solar power plant known as Solana. When fully operational it will include six hours of thermal storage and be the largest solar power plant in the world!